It seems like Jose Mourinho has seen enough of Luke Shaw as reports from The Sun have claimed that the Portuguese might look to let him leave on loan when the January transfer window opens. Shaw has hardly featured for Jose Mourinho since the previous campaign and is yet to make a Premier League appearance this term. His fitness has been his long-standing issue and Mourinho has been frustrated regarding the same. Furthermore, reports have been doing the rounds, that Shaw does not really share a good relationship with Mourinho and might himself look to seal a move away from the club. Safe to say that the left-back has completely fallen out of favour under Jose Mourinho. Hence, a temporary move could well be on the cards. Besides, with Marcos Rojo approaching full fitness and the likes of Ashley Young, Daley Blind and Matteo Darmian already in line for first-team spot, it is hard to see Shaw being slotted ahead of all of them. “It looks like Luke will be allowed to leave in January on loan if the right offer comes in,” a source close to the club was quoted as saying by The Sun. “A couple of Premier League clubs asked about him in the summer, but he was still injured. He has been working hard in training. “It has been difficult for him as he is trying his hardest but has had no luck over the past couple of years, at all,” the source added. Making just two Carabao Cup appearances this season so far, Shaw has not really upped his case in any manner. 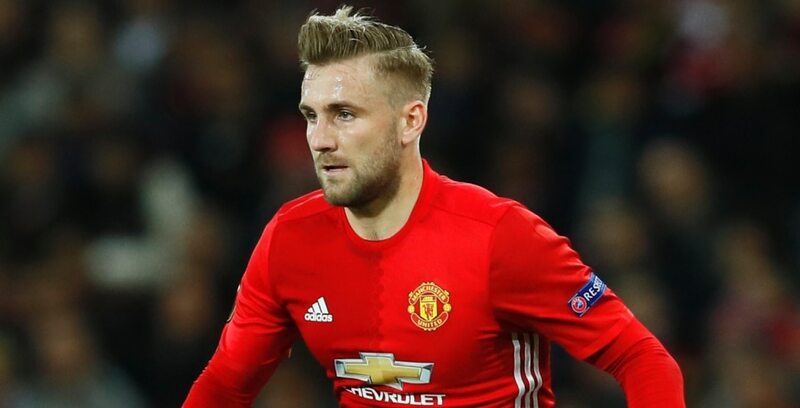 Furthermore, The Daily Mirror has credited Shaw’s former club Southampton as a potential destination as Shaw seems to believe that they will be able to offer him some regular first-team football. The Saints have Ryan Bertrand at their disposal and he is performing exceptionally well. However, Ryan’s situation right now is completely unclear. Manchester City are looking to grab a left-back as Benjamin Mendy will be unavailable for the majority of the season, and Bertrand is reportedly on their books. Southampton, on their part, will look to sanction his sale if they receive a considerable offer from the Etihad Stadium and this is where Shaw comes into the picture.